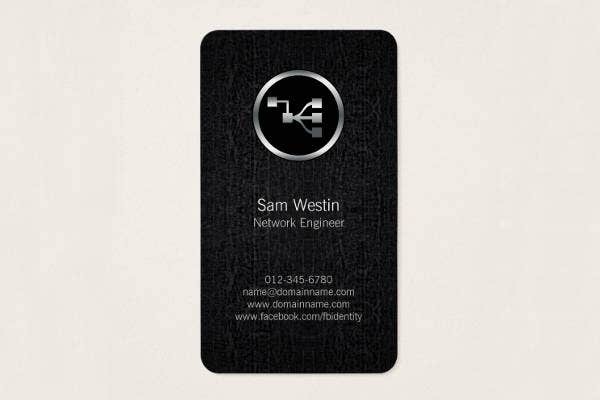 Networking business cards is a recent phenomenon that has arrived because of the popularity of social networking sites. Since social media has such an impact on our lives today they have become our second professional identities. People update their social profile handles on resumes, business cards and other such professional identity. 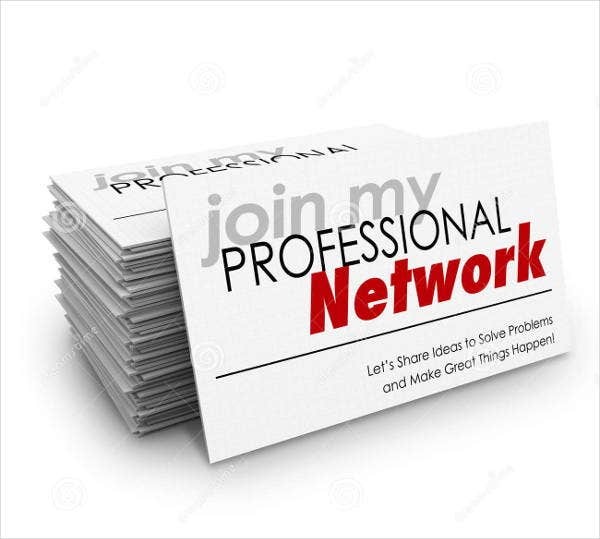 Networking business cards are also associated with networking related businesses. 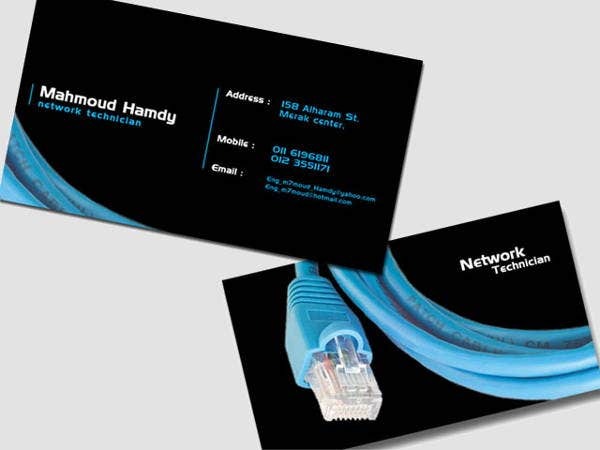 If you are looking to creating your own networking business card we have few templates listed down along with the download button, for you to access the templates. 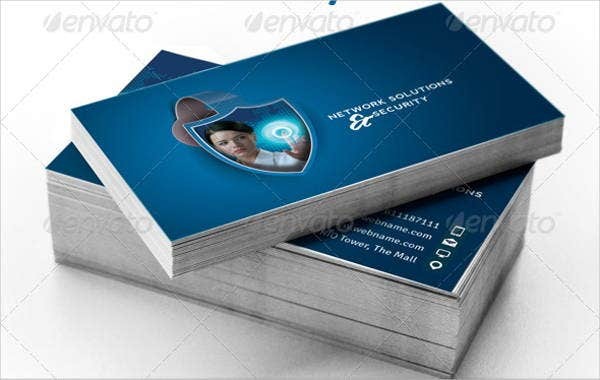 With these templates, you can easily create a brand new professional looking networking business card design. 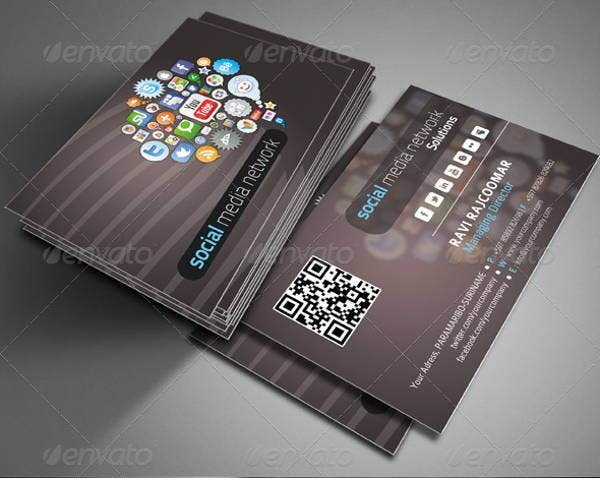 This social media business card is available in template form and you can download it to create a social media business card. The design is modern and highly professional. You can edit it to add all your social networking profile links and addresses. The smart layers available makes the editing easy. 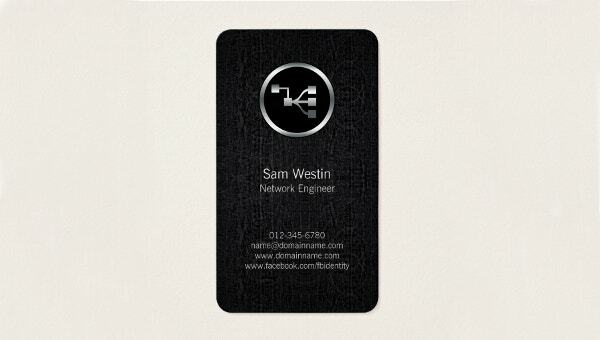 This network business card template comes in fractal design that gives the design an abstract appeal. You can download the template to edit it and create a network business card for yourself. 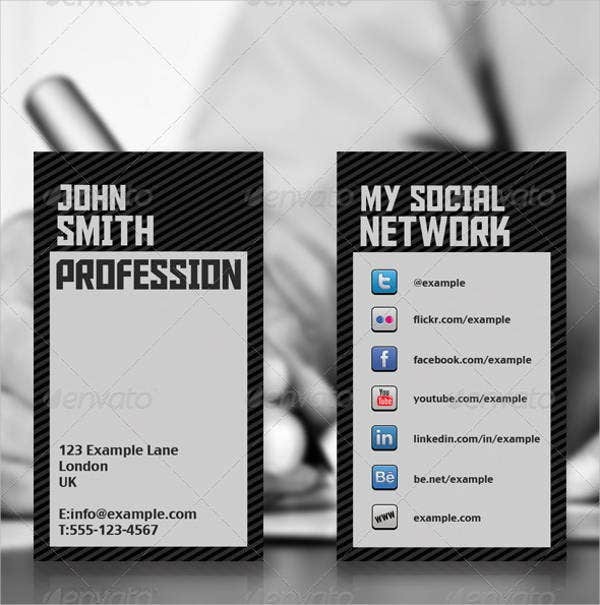 You can edit it from both sides and create a two sided business card and add your professional information accordingly. 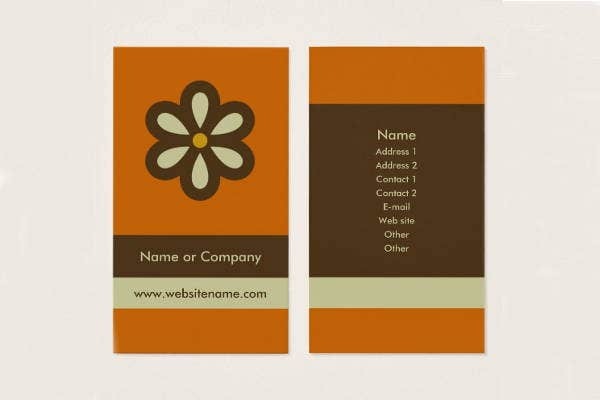 This is a two sided business card design that you can get with the given template. The design is simple, clean and formal and perfect for all kinds of clients. It provide layers where you can edit and add your social media information easily. On the other side you can update your name and contact information. 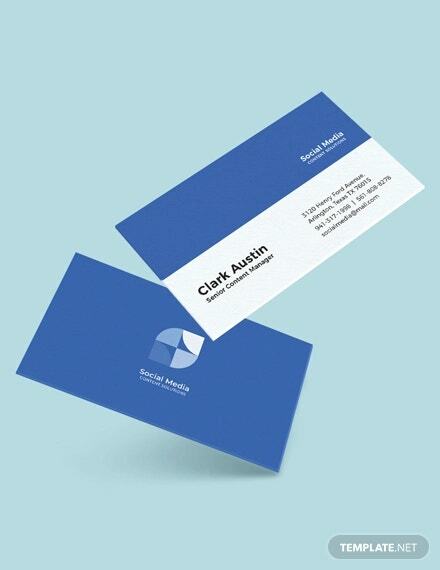 The business card template is minimalistically designed. 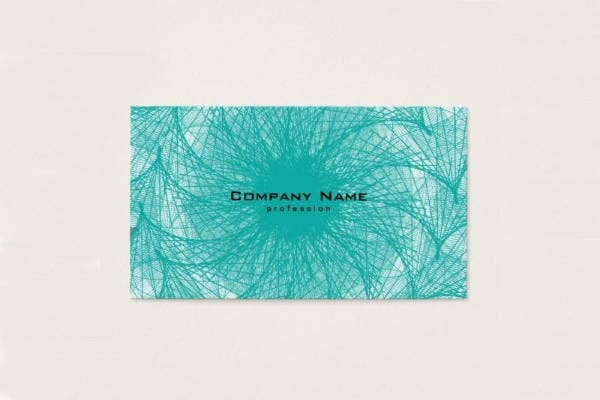 The design mainly plays with texture which is common in business card designs. The card template has been designed for network engineer but with the help of smart layers you can edit it and use if for all kinds of professions. This two sided business card template can be edited in illustrator. The layers make editing easy and without much effort you can replace the background and text to create a brand new business card design for yourself. This is a rather simple business card design. But you can download the template and customise it as per your desire. You can add your social media information on the card as well to make it look contemporary, professional and updated. 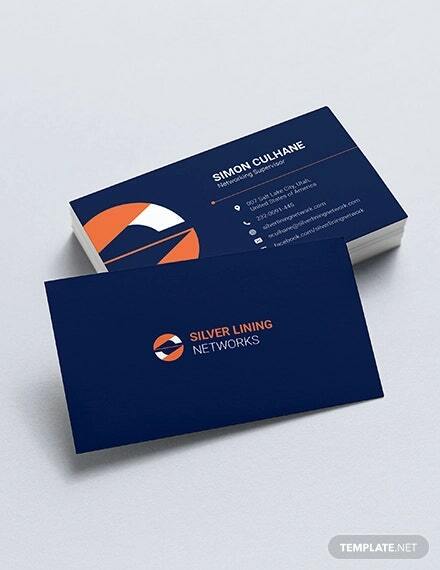 This minimalistic network business card comes in clean and simple format and if you like minimalistic design you can surely try this template. It is a two sided business card and both the sides are fully editable. Depending on the profession that you are in, you can alway experiment with business cards by trying retro design. The mix of social media and retro design might make for an interesting combination.